It was time to start a new pair of socks and thinking summer is nearly here, I decided to see if I can get two pair of short socks out of the 2 skeins of yarn. 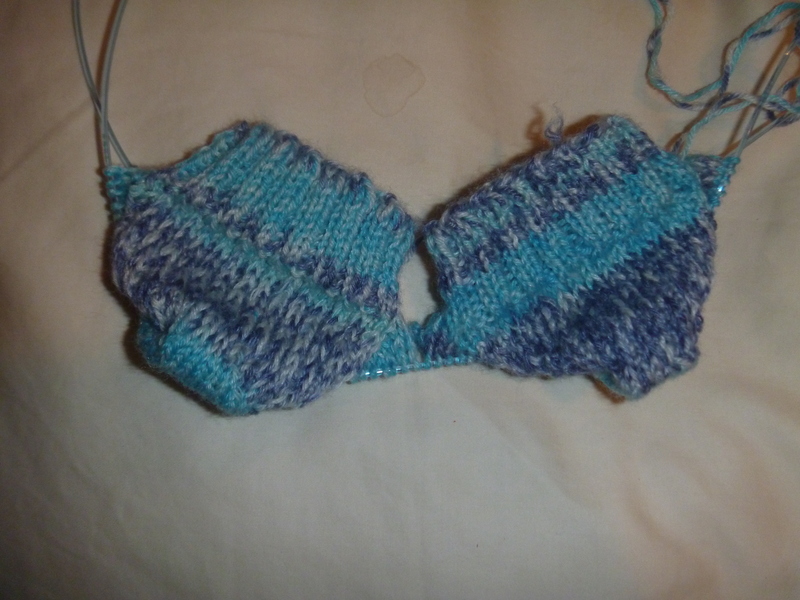 I have put an inch ribbing on them and then started the heel. Here the first pair is in progress. There is nothing fancy about them – just straight stockinette stitch which will go rapidly. I’d love to get the two pair down before the end of June. They will be so welcome. Love your yarn. I’ve not tried knitting two socks at once, but have a book to teach me the technique. Good luck with finishing those by the end of June. One pair down, see todeay’s post. That gives ma a whole month to do the other one. I will have a bit of car passenger time which will help on the second pair. I really like the two socks, two needle approach. Both are finished at the same time. love the socks. will be nice when they are done.